Notes: Gardenia-like flower fragrance. 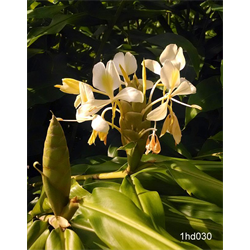 Yellow ginger flowers tolerate very moist soil. Loved by hummingbirds and butterflies. Add the lovely Butterfly Ginger to your summer garden today!